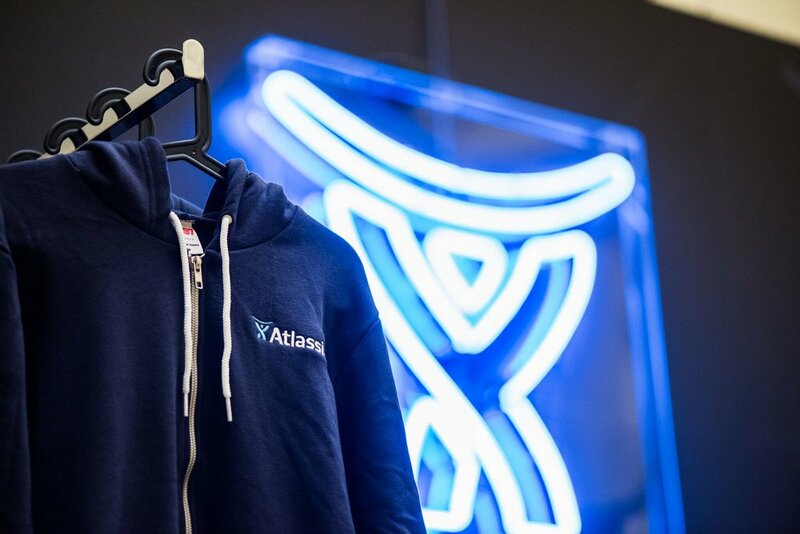 Atlassian is a mid-sized software company based in Sydney, Australia known for their team collaboration tools – Jira, Bitbucket, Confluence, Trello and Stride to name a few. 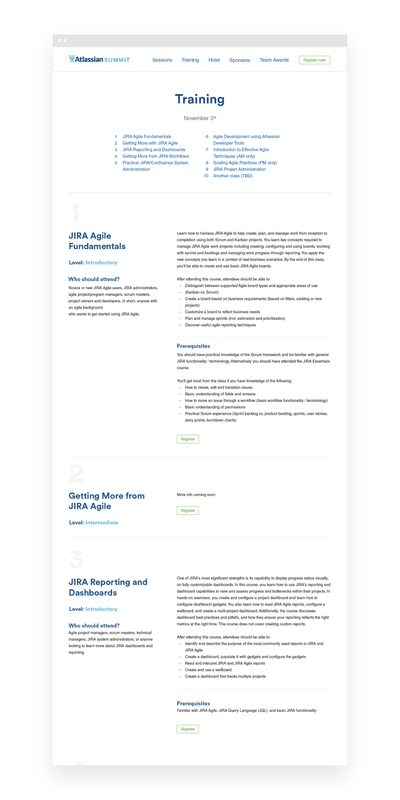 Starting 2014, I was part of a small in-house design team based in their San Francisco office, designing all of the company's web properties, brand, and customer touch points. 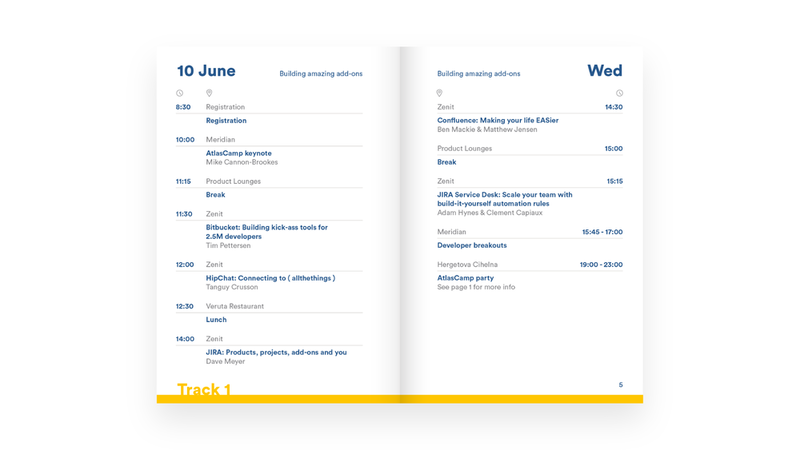 For Summit 2017, I spent a month in our Sydney office working with our co-CEO and his content team to help craft and visualize his narrative for their annual product keynote. 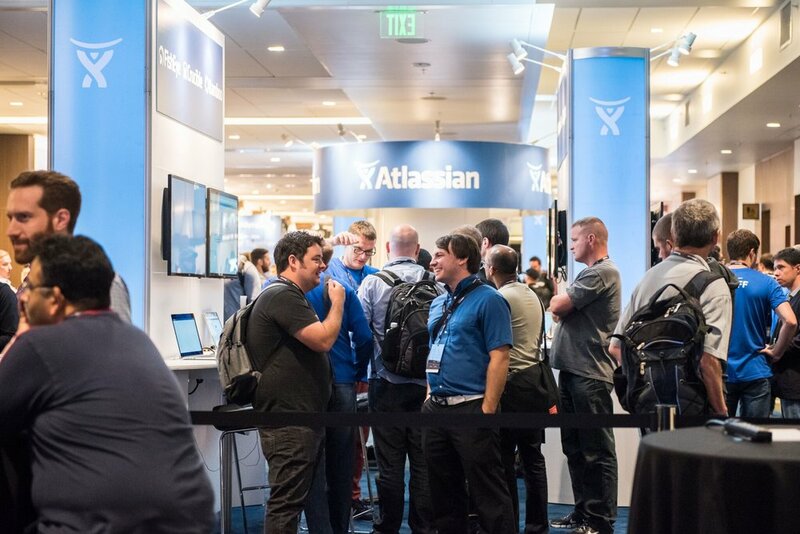 This year there were 14 speakers, 2 hours of content, and a major rebrand/logo reveal, presented to over 3600 attendees, and many more watching live on the Summit website. 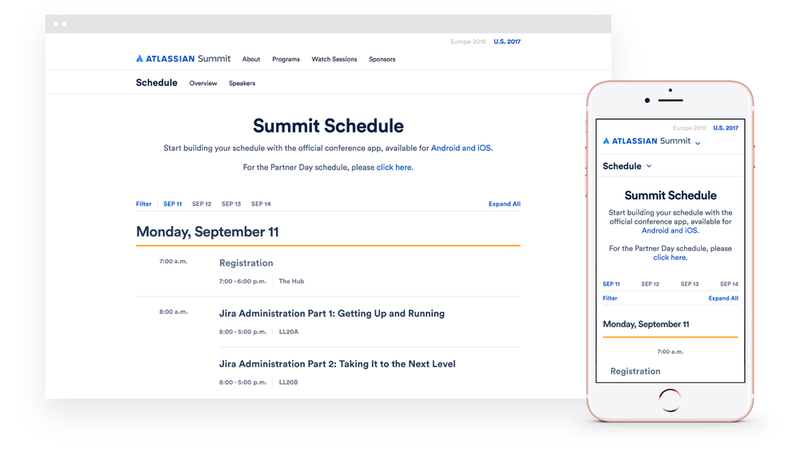 I also supported design on the Summit website as well as re-designing the interactive Summit Schedule page. 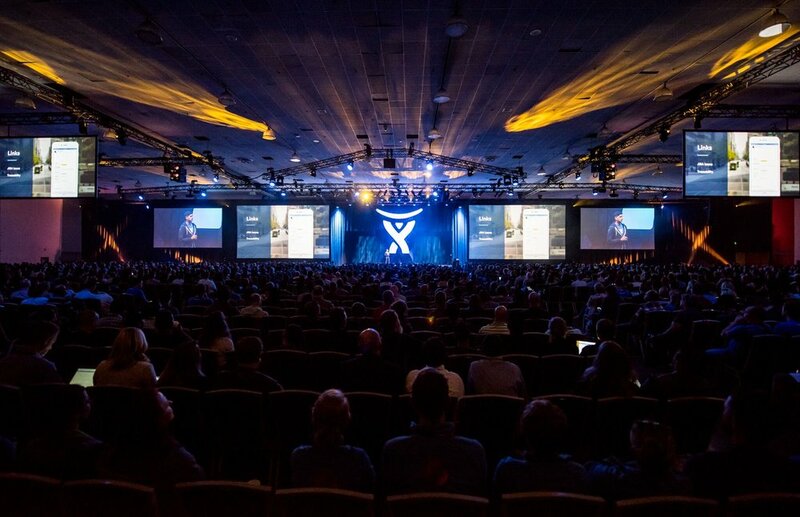 In 2016, I was tasked was creating the visuals and presentation for the product keynote. 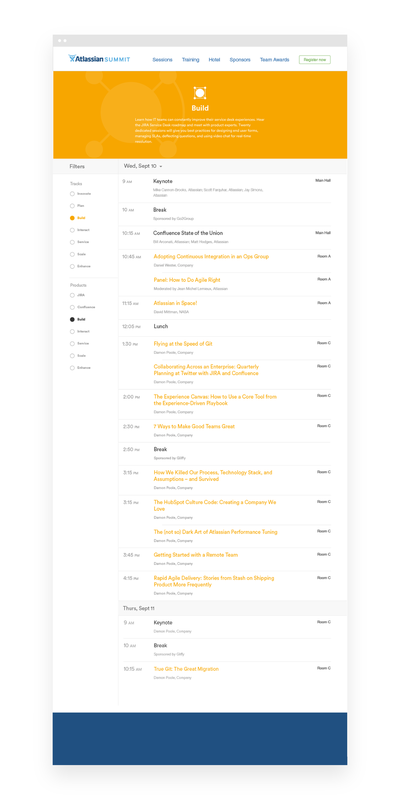 A 1.5 hour long presentation with 10 different speakers, I worked directly with each speaker and their content team to help craft and visualize their story. 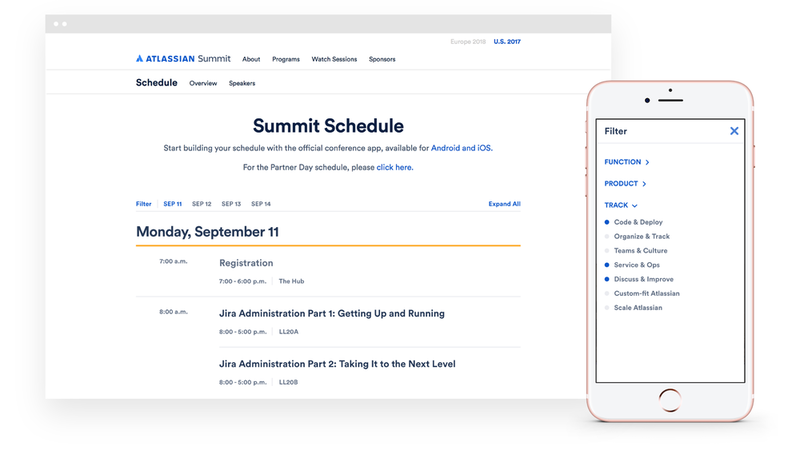 I was the design lead for our 7th annual Atlassian Summit, working with one other designer and our creative director to produce everything from initial event brand concepts, all print material and signage, name badges, merch, and website. 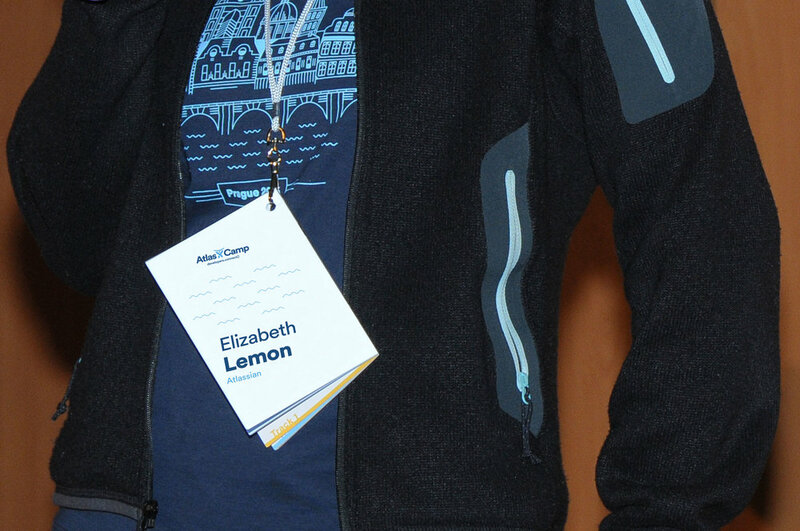 This was my second Summit, but my first as a lead designer. 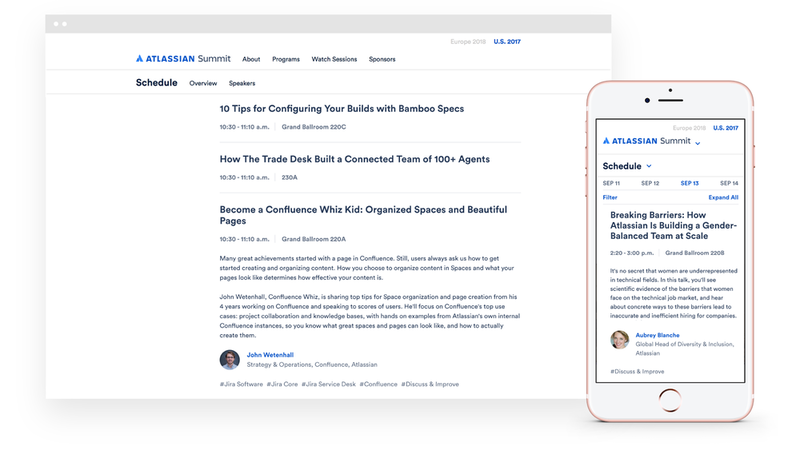 During this Summit we also collaborated with illustrator Dev Gupta to produced and launch a brand new marketing illustration library and guideline for our the Atlassian brand. 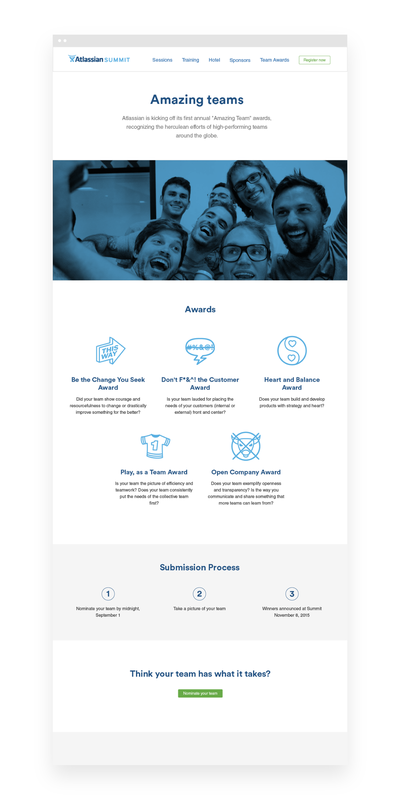 It was a complete revamp of our illustration style and thanks to Dev we pulled it off in less than a month from conception to launch. 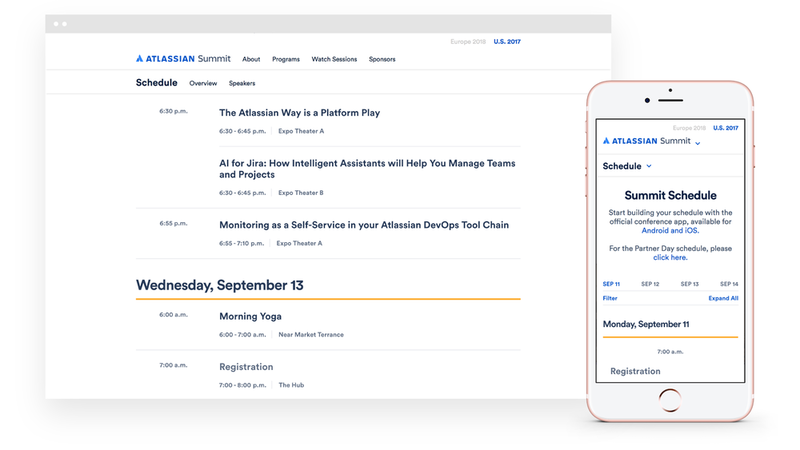 I was the main designer for AtlasCamp in 2015. 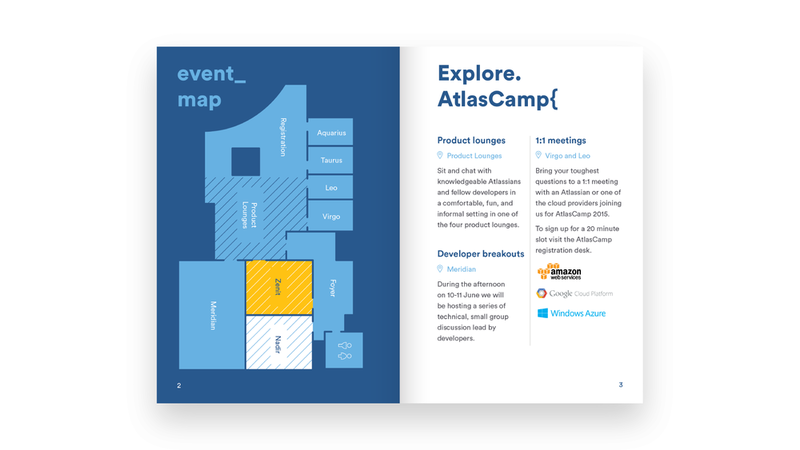 AtlasCamp (now Summit Europe) was an annual developer conference in Europe. This year it took place in Prague. 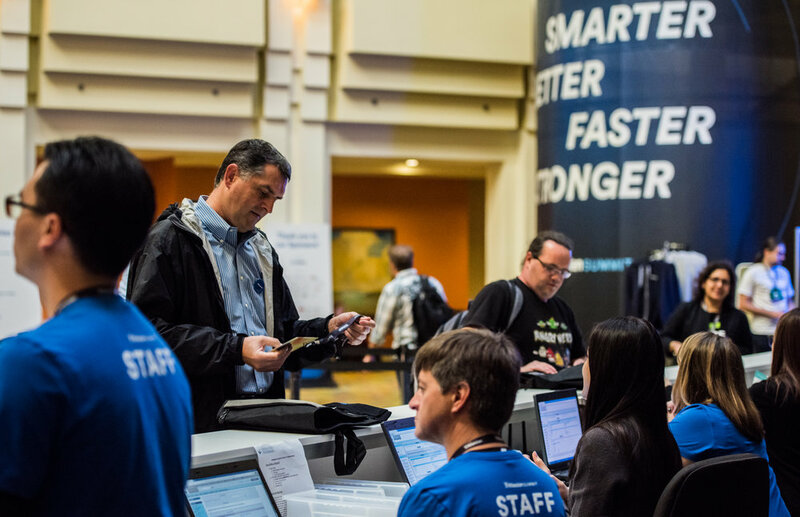 I was responsible for delivering a branding refresh to match our new corporate brand, a new website, a badge/program booklet, attendee t-shirts, and all event signage.